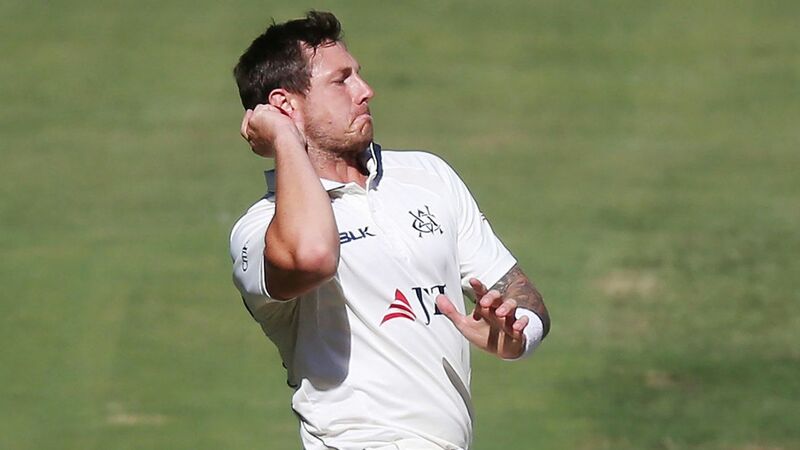 Tearaway quick James Pattinson could win Australia two Ashes Tests if he is used wisely and sparingly in the five-match series, according to his Victoria coach Andrew McDonald. Pattinson, 28, has not played a Test match for Australia since February 2016 due to a serious back injury. But after returning from successful surgery he played a pivotal role in Victoria’s Sheffield Shield triumph this season including taking seven wickets in the final with some vicious spells. He will play for Nottinghamshire in the early part of the county season but McDonald believes he could be a key performer in the Ashes if he is used in short bursts. “I think he’s a two-Test player that can win you those two Test matches,” McDonald told SEN. “I think when he plays Australia’s odds increase greatly in terms of winning the Test match but we can’t get over-excited in terms of what his body can cope with. Pattinson was used as part of a five-man bowling attack for Victoria which featured four fast bowlers and a specialist spinner. Australia are unlikely to opt for a five-man attack in the Ashes and therefore McDonald said he could only be used on bowler-friendly surfaces where the game could be over in three or four days. “If it was a flatter surface you wanted to pick him on then he’d definitely have to be part of a four-man pace attack,” McDonald said. “I think the surface will dictate what the formation of the line-up will be and [Nathan] Lyon plays every game. Australia’s Ashes squad is set to be named just a matter of days before the series begins on August 1 at Edgbaston.